These audiences really enjoy watching sports. Whether it’s in the stadium, on the couch or from a local bar, they know all the starting line-ups, the latest player injuries and where their teams stand on the tally board. From September to February these audiences don’t miss a beat. It’s not necessarily about watching the game for these crews. They love to throw a party, and—let’s face it—they’re really good at it. These audiences are interested in purchasing vehicles. From trucks and SUVs to economy and hybrid vehicles, they’re on the lookout for a new car. 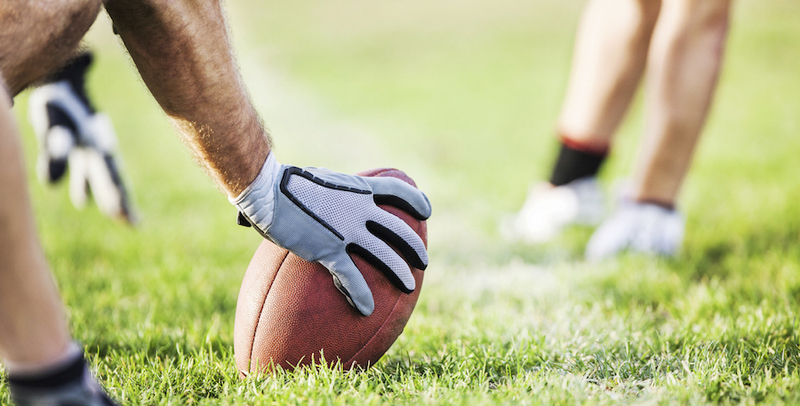 These audiences are typically watching the big game from the latest and greatest home theater. They’re early adopters of technology and usually have all the latest gadgets before the rest of us even know they’ve hit the market. These segments are available via integrations with major DSPs and DMPs, including: The Trade Desk, Oracle BlueKai, Adobe, MediaMath, Google DBM, DataXu, Centro, TubeMogul and more. 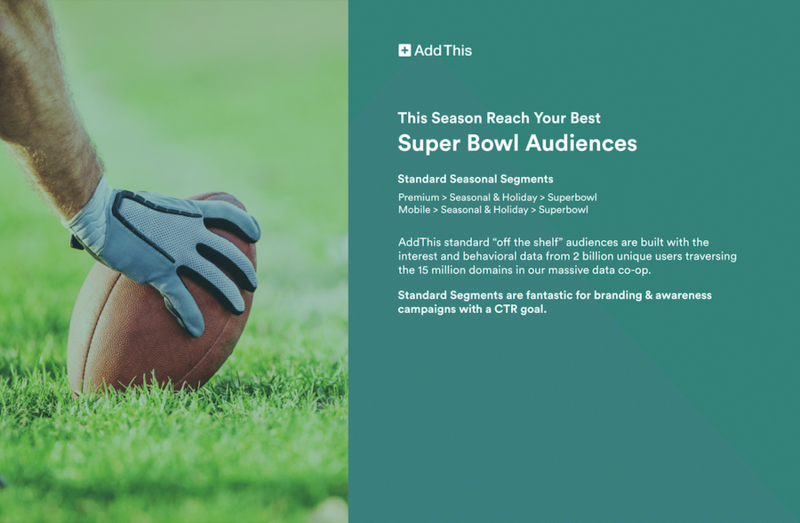 We’ve also got two “off the shelf” Super Bowl audience segments built with interest and behavioral data from 2 billion unique users traversing over 15 million domains. They’re fantastic for branding campaigns, click through rates and awareness goals. 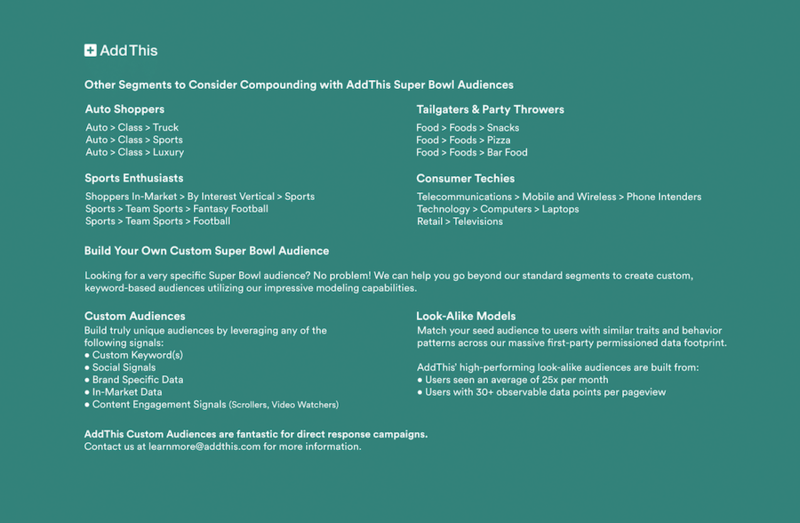 Ready to learn more about AddThis Super Bowl audience segments and what they can do for you? Email us at LearnMore@AddThis.com to get started.